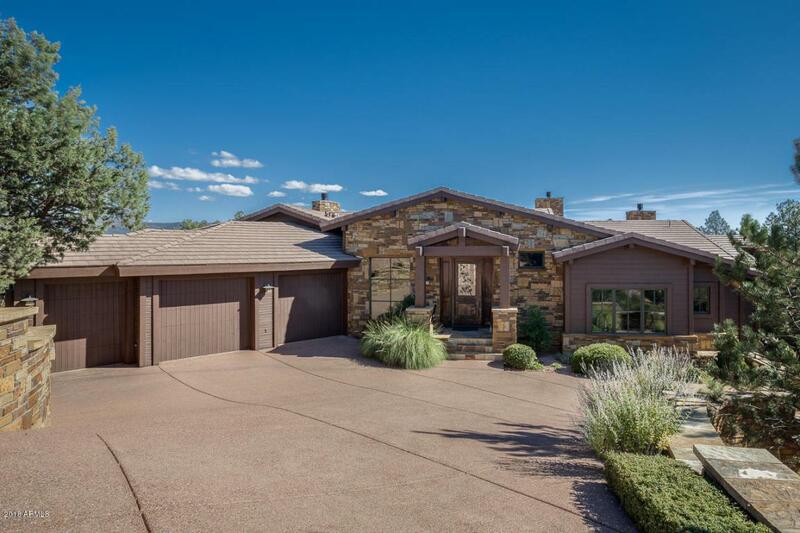 Spectacular mountain home located hilltop in The Rim Golf Club with panoramic views of the Mogollon Rim! 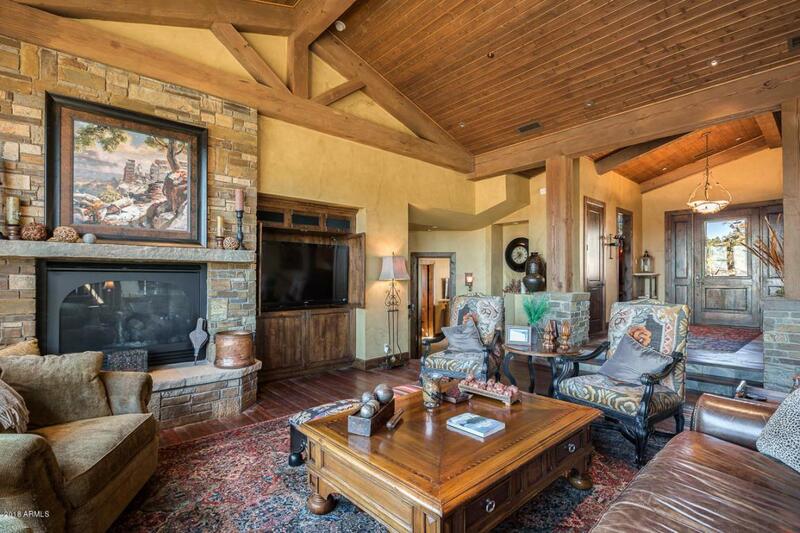 This richly rustic home boasts the finest level of finishes and attention to detail at every turn - elegantly finished walls, slate floor entry then hand-scraped wood floors, tongue and groove ceiling with beam and stone post accents, hewn trimmed windows, granite countertops and other finishes that further enhance the architecturally detailed mountain theme. 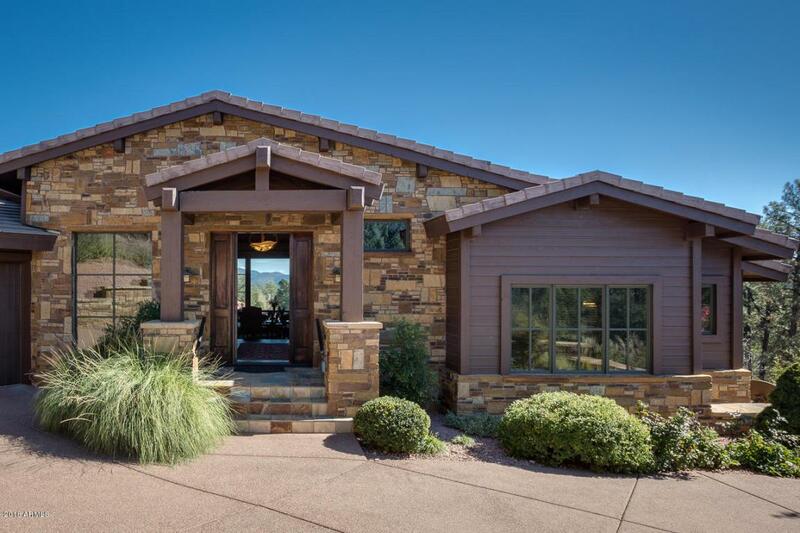 Whether you desire to enjoy the mountain views in front of the fireplace on the patio or deck, entertain in this wonderfully spacious, open floorplan or simply want to relax with a soak in your deep jetted tub with fireplace. 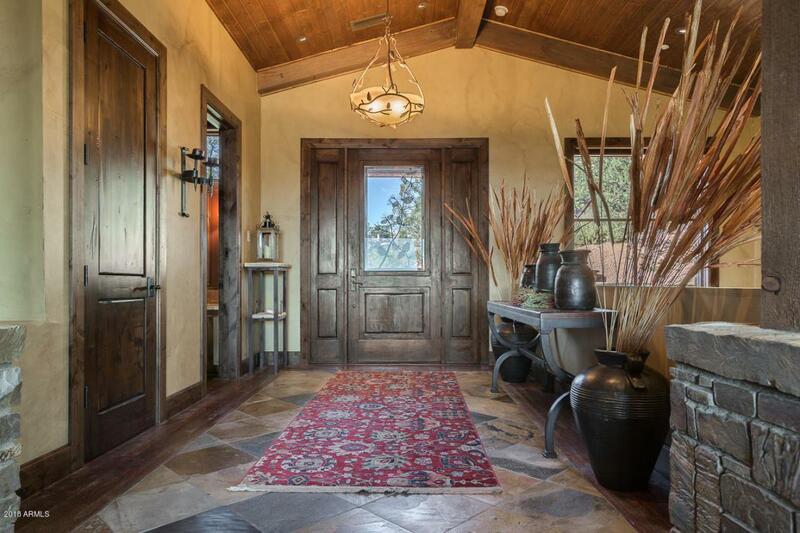 The impeccable detail and finishes make this home one of a kind and one not to be missed - come see it now!